James J. Egan was born in September 1842 in Ireland, and immigrated to the United States with his parents at the age of six. He moved to Minnesota in 1857. Egan served in the Minnesota-Dakota War of 1862 and published an autobiographical account describing the Thaoyateduta seige near the end of the war. 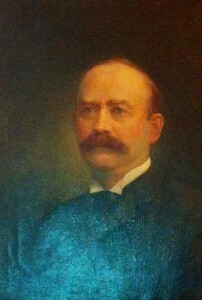 Egan resided in Duluth from 1869-77, before moving to Saint Paul, where he served as Ramsey County Attorney for 11 years. The dates of this service are not clear, however it is known that he served the Minnesota House from 1869-75, which covers his time in Duluth. As a Judge, Egan played a prominent role in the “coal combine” investigation of 1893. Receiving national press, these investigations resulted in the 1893 interstate antitrust conference organized by Minnesota Governor Knute Nelson. After an investigation of price fixing by the Bureau of Coal Statistics, the legislature seized the organization’s account books. The “Bureau” filed a $50,000 suit in District Court, claiming damages and theft of property. Judge Egan heard the case and was accused of siding with coal trusts for holding House Seargent-at Arms Basil Smout in contempt for failing to surrender the account books to the Bureau. Richard A. Walsh (also a 2nd Judicial District judge) was involved due to his membership on the Joint Legislative Coal Investigation Committee. While being held in the courtroom by Judge Egan, Basil phones Rep. Walsh and tells him to get the books from the Treasurers’s office before the Ramsey County Sheriff, dispatched by Egan, gets there. In a race for the books, Walsh gets the books before the sheriff. The legislature backs Walsh and threatens not only to impeach Judge Egan, but cut off the salaries of all District Court Judges in Minnesota.